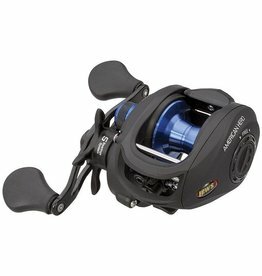 The reel features a one-piece, lightweight, graphite composite frame and sideplates, making it incredibly strong, yet lightweight and ideal for all fishing situations. 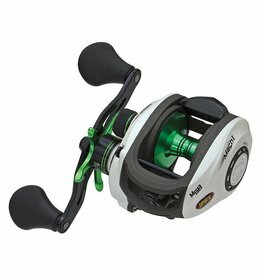 The Speed Spool reel features 10 premium double-shielded stainless steel bearings, 7.1:1 ratio, dual cast control (MSB), Zero Reverse anti-reverse. 95MM handle.